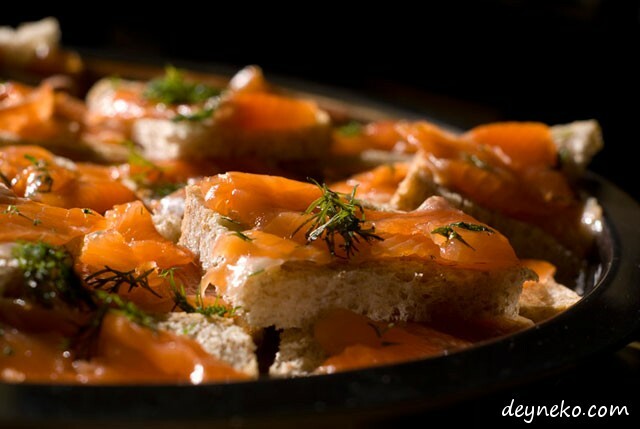 Sugar-salt cured trout recipe from the coldest region of Russia! 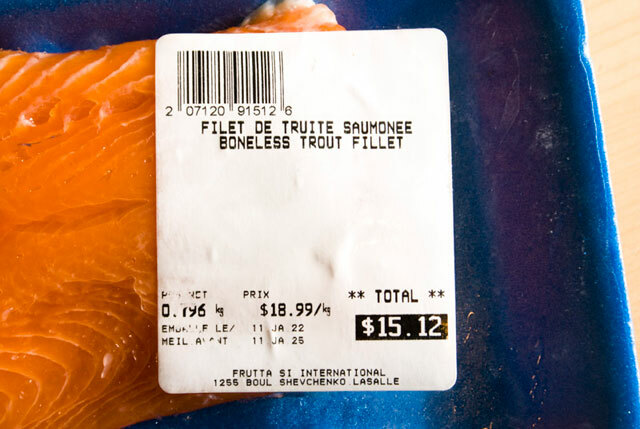 First you need a trout fillet. We bought one in the local supermarket (“Frutta C”). 2. As you see in the picture below, there is a label with the inscription “truite” (Fr.) or “trout” (Eng). This is exactly what you need. 3. 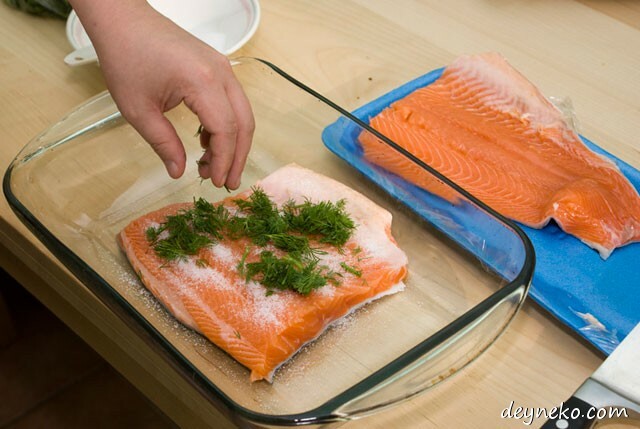 Then you need to select a suitable dish for making cured trout. It would be great if it had a cover. Then you cut the fillet into two or more pieces – just enough to fit into the dish. As you see in the picture below we cut the fillet into two pieces. 4. Then you mix salt and sugar in equal proportions. You can also add ground black pepper. We didn’t add pepper because it would be too spicy for our children. The next step is to put the mix of salt and sugar on the fillet. 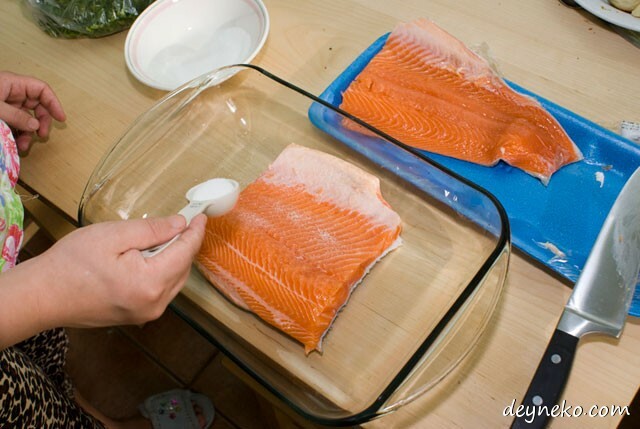 You need to create a thin layer of the mixture on the trout’s surface as you see in the picture below. 5. Additionally, if you like, you can add lemon or garlic or a bay leaf. 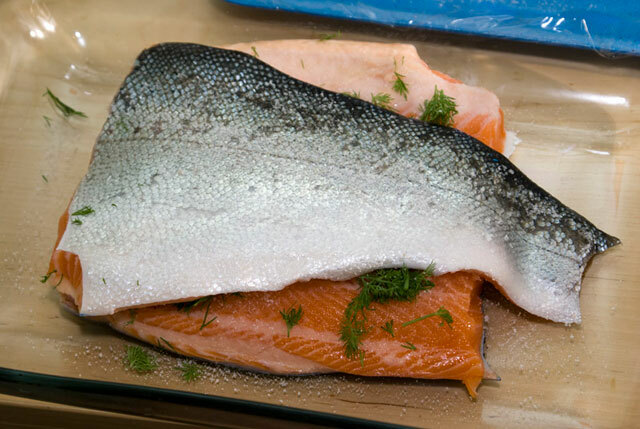 Cured trout recipes have a lot of variants. We added fennel as you can see in the picture below. 6. 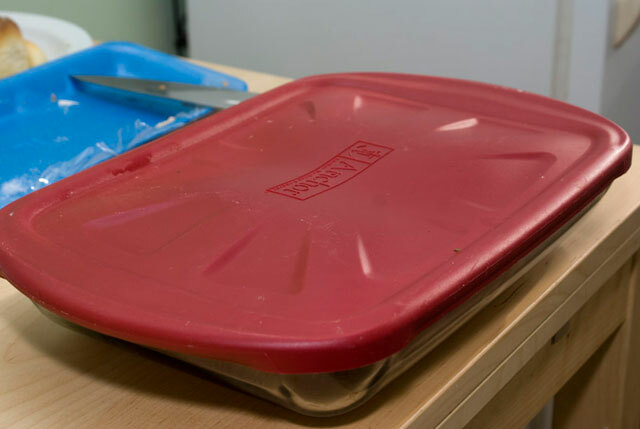 The second piece is prepared in the same way. 7. We placed both halves of the fillet in the dish as you see in the picture below. 8. 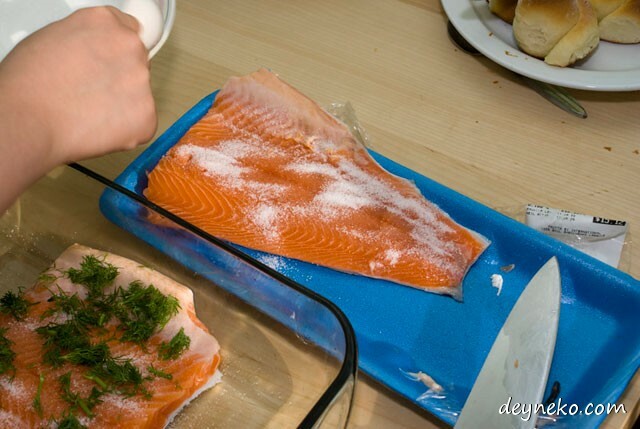 It is a good idea to use a cover, then the fillet will not dry out. The last step is placing the fillet into the fridge for about 24 hours. Don’t put it in the freezing compartment! 9. It is possible to eat it after a few hours, but for safety reasons we prefer a salt cure of 24h or more. 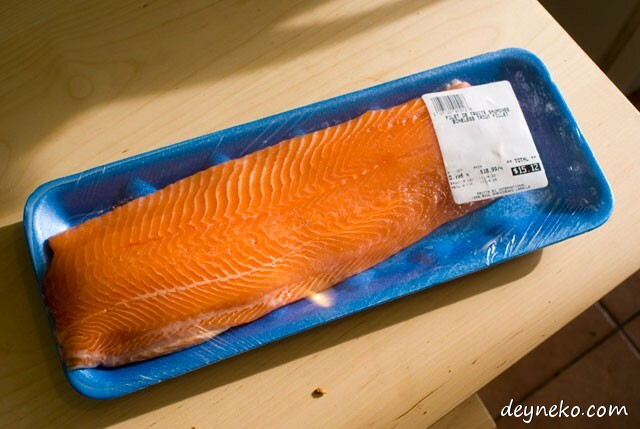 You can slice cured trout fillet as in the picture below or as you desire. Just remember that after slicing it is best to eat it soon. 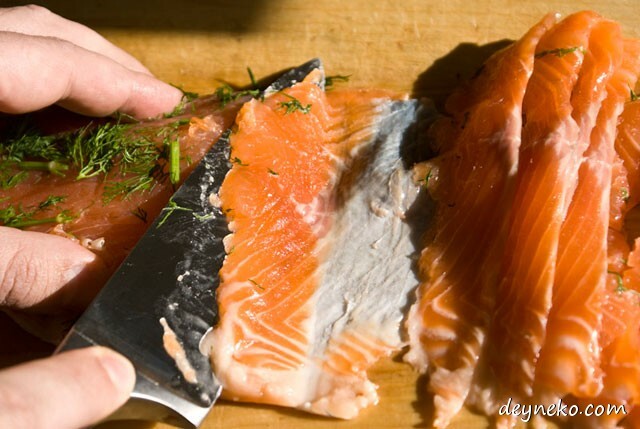 Sliced cured trout loses its flavour relatively quickly. 10. 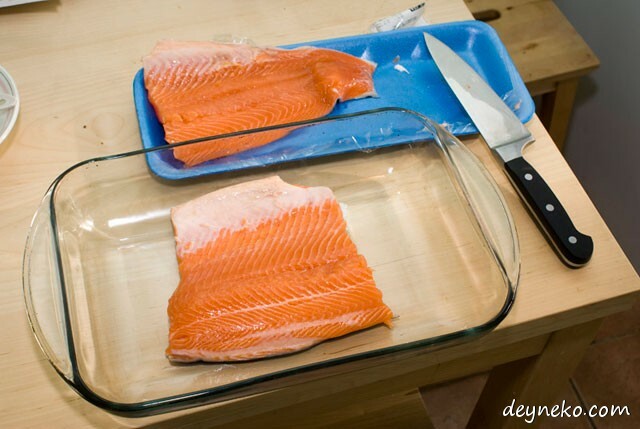 It is better to slice as much of the fillet as you need, and place the rest in the fridge. 11. This is only small amount of fillet, though it looks a lot; only one half fillet was used in the picture below. 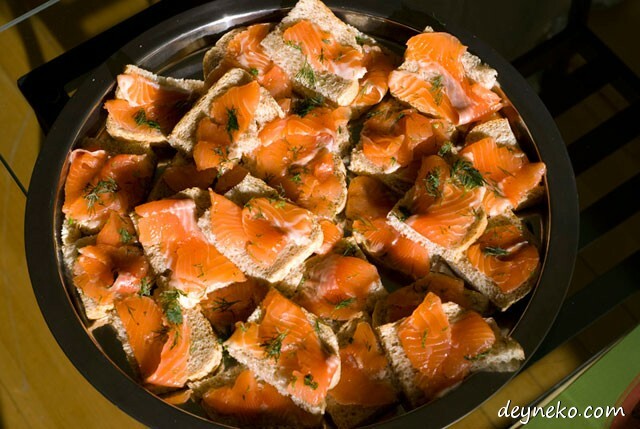 * – Don’t mix traditional Russian food with Yakut food it is very different.